Ribbon Workbench is a great tool for customising the ribbon in CRM. When you need to customise an OOTB button/command however, it can be a bit difficult to identify the correct button/command to work with. This is particularly true when some of the OOTB buttons appear the same on the Ribbon Workbench’s UI, such as the Add Existing buttons below. One way to identify the correct button/command is to inspect the HTML on the CRM form. 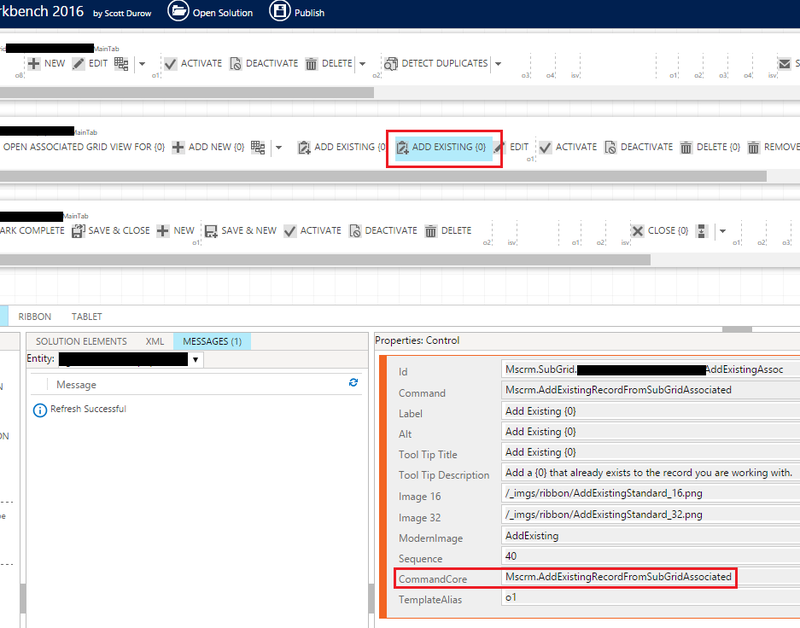 In the example below, I can see that the ID of the + (add existing record) button on a sub-grid is Mscrm.AddExistingRecordFromSubGridAssociated. Hope this helps increase your productivity with Ribbon Workbench.